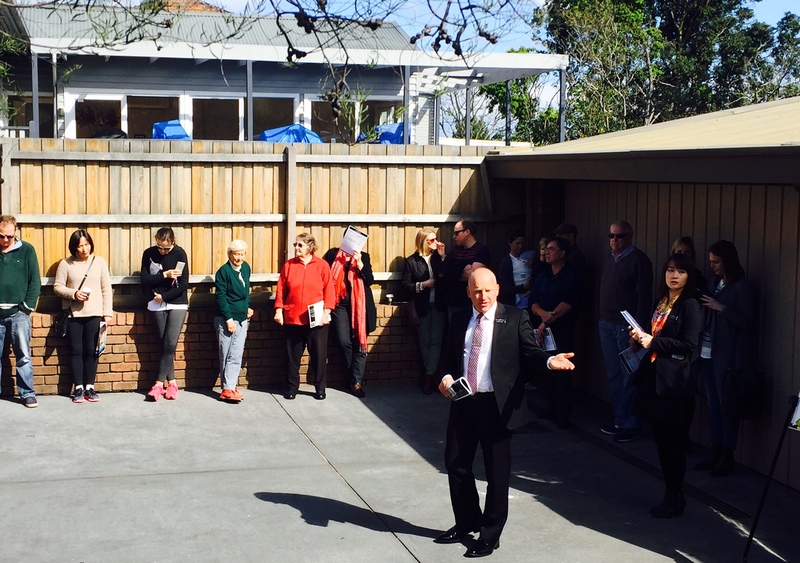 The $1m plus property market is stuck on repeat and although some vendors are still a little ahead of the game (price wise), we saw multiple bidding at all of the auctions we attended. 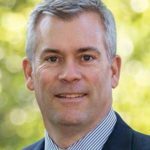 Disappointment is leading to frustration with a lot of buyers and although they may be hoping the market might cool a little, it feels unlikely, at least in the short term. 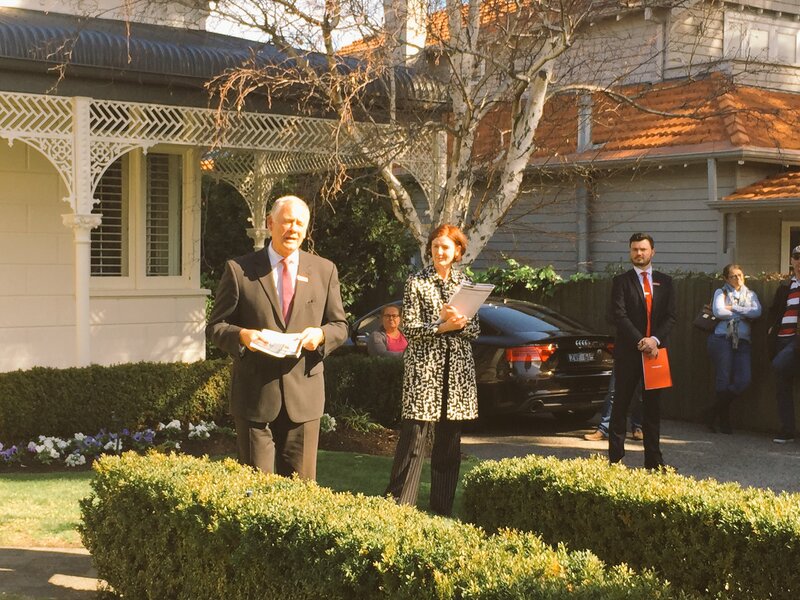 Such a beautiful day for an auction – and the immaculate front garden of this picture-perfect period home was the ideal setting for the crowd to enjoy proceedings. Steve Tickell was our auctioneer and after a thorough preable, called for an opening bid. Looking for $2.5m, Steve was rewarded with that exact amount from Bidder1 and we were away. A second bidder entered the contest and at $2.8m, Steve headed inside to refer to his vendor. Back outside, bidding continued and at $3.13m, Bidder 3 raised his hand. On the market at around the $3.21m mark, the home eventually sold for $3.25m, much to the delight of the crowd. 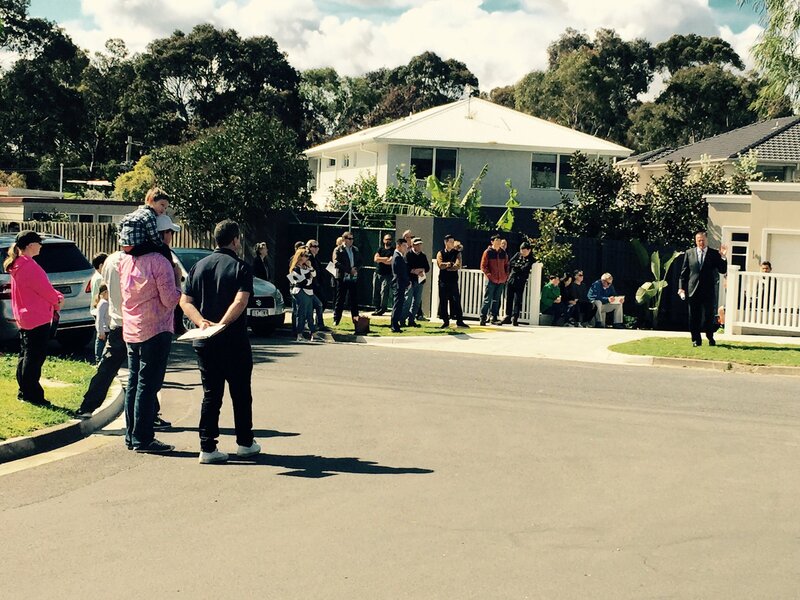 Brand new home in a quiet street close to Dendy Park and golf courses, this auction attracted a good sized crowd that spanned three corners – all trying to find a warm spot in the sun. David Hart was auctioneer and after extolling the many benefits of both the home and the location, called for an opening bid. All remained quiet so he tabled a vendor bid of $2.3m to kick-start proceedings. Bidder 1 chimed in at $2.325m, Bidder 2 not long after at $2.35m. A two-way battle ensued before David passed the property in to Bidder 1 for further negotiations at $2.535m. The home sold a short time afterwards for an undisclosed amount.